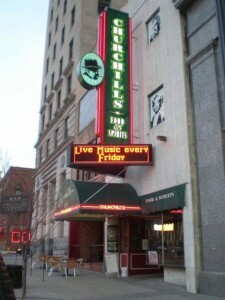 Churchill’s Food & Spirits is hosting a pre-game party for our group. Pizza, Antipasto Salad and bread sticks, plus some jumbo wings. They have 29 beers on tap, plus a ton of craft bourbons. Come check it out with us and enjoy a night out. 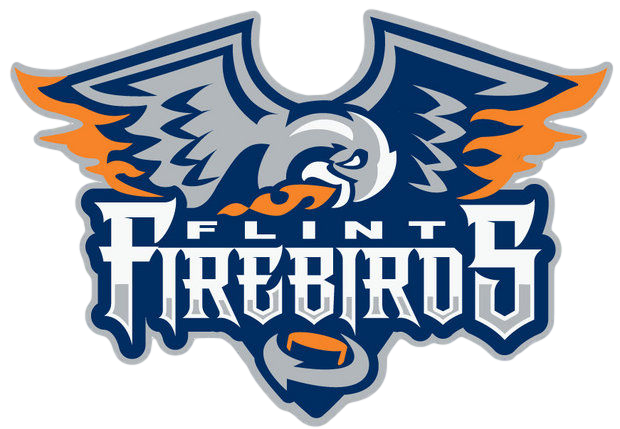 Discounted Flint Firebirds tickets for the Silver section are included for a total of just $27 per person. My son Jacob rides for Stanford. With over 2,000 miles of rail road lines converted to safe, efficient travel lanes for pedestrians, bicyclists, skate boarders, roller blade rs and some even allow horses, we are fortunate. My preferred method is by mountain bike, so you can take those detours along the way. In the Flint area we have the Flint River Trail that runs from downtown Flint to Stepping Stone Falls, about 7 miles to the north east. Now the Genesee Valley Trail which starts just west of the mall at Flint Township Park and runs on accross Corunna Rd now near Atlas Coney and on up to Chevy In The Hole – now Chevy Commons. Along that ride you can hit a few brew pubs and ice cream shops to make some well deserved detours along the way. Chevy Hole soon a Park! On a ride Genesee Valley Trail ride in August (2015) Jacob and I stopped at Churchill’s and met the new owner from the Red Barron that bought Churchill’s. They are working on a new cooler that will be custom manufactured to fit in the low cellar. Soon we will have a second brew pub in Flint. On the ride back we ran into a monsoon of rain. Quickly we rode to Tenacity Brewery on Grand Traverse to seek shelter! There we meet one of the owners Jeff, who allowed us to get our bikes out of the rain and fed us samples of beer! We each bought our favorite. I love their Dunkle, but they had this Traverse City Cherry Porter that was awesome! So had enjoyed that stop! 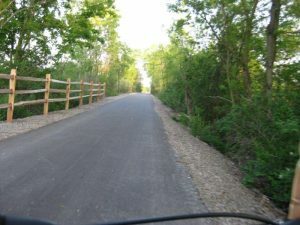 In Columbiaville you can jump on the Southern Links Trail that farmer Lonnie Kester made happen. That trail is ten miles long up to Millington, through Otter Lake. The Millington Inn is a place to grab a beer and a decent burger or omelet before heading back to Columbiaville. A 20 mile ride makes you feel like you did something to earn a beer! 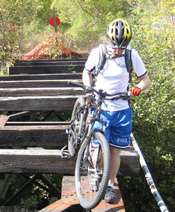 A longer ride is the Piere Marquette Trail that runs from Midland to Clare. We jumped on the trail west of Clare and realized that the trail ended before you got downtown. There were some hurdles, but in town we got back on after a Cops Donuts stop and rode the distance to Midland. That journey was about 52 miles when we were through. Not as tough as the ride Jacob and I experienced during our first visit to San Franciso though! We rented some beater mountain bikes and rode over the Golden Gate Bridge, on up and over a dam mountain into Meir Woods to see the Red Wood Trees and back! Oi! That was a 45 mile journey I will never forget! We got back to the hotel, showered and went to a Russian / Thai Restaurant down the road and had some spicy food and beer! Lots of beer! My favorite ride is the Paint Creek trail. We park at the City of Rochester Park. There are bathrooms and streams and wild life. From there we ride about 9.5 miles to 51 North Brewery in Lake Orion. It is a slight up hill grade that even a novice rider can do in about an hour. They have a Velvet Oatmeal Stout that is awesome and the Paint Creek Tangerine Wheat that my wife likes. Their food is great and after a couple of beers and a meal you are ready for the trip back! My bride of over 31 years can get the giggles on the ride back. 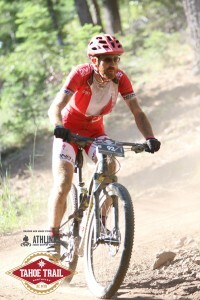 We ride just a bit faster on the slight down grade going back most of the way and you get back in about 45 minutes. You have to time your ride to include travel and the “lunch” break to get back before dark preferably. On a ride in the spring we got caught in a thunder storm! What was weird was the frogs! Hundreds of frogs all along the trail! We dodged them the best we could, but a few died that day… Wet, muddy, but back safe it was a fun adventure. There are so many other rides to explore. Even in the nations top destinations, Sleeping Bear Dunes! So check out these resources and take your wife on a bike ride! You will be glad you did. With hockey season approaching quickly as I write this, we have to be mindful of our hockey widows. Get on a bike and ride! Ann Arbor Brewing 20th Anniversary – Friday! July 31st at Ann Arbor Brewing. From Ann Arbor Brewing: “As is our way, we are taking the party to the streets to celebrate all of our successes, reminisce with friends, and thank each and every one who has helped us make it to this platinum anniversary. We will be getting’ down on East Washington at Main Street in downtown Ann Arbor on Friday, July 31st from 5pm-12am. As always, there is no cover and we are family friendly as long as minors are with their parents. August 15th: Michigan Homebrew Festival, Groveland Oaks Campground, 5990 Grange Hall Road, Holly. Crowd of 400-500, most of whom are home brewers, expected. About 200 beers available for sampling to people who pay membership fee. Food trucks also expected. $30. Family-friendly, but must be 21 and up to drink. 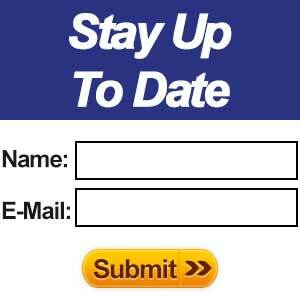 www.mhfsite.com. 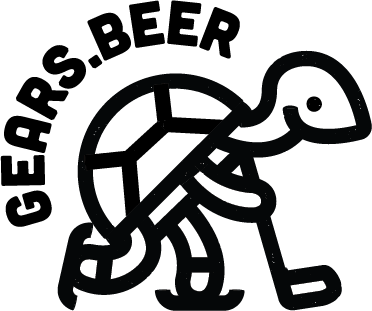 September 24th: Zoo Brew, Detroit Zoo, 8450 W. Ten Mile, Royal Oak. A chance to see zoo animals at dusk while tasting Michigan craft beers and enjoying music and food for sale. $40 ($35 until Sept. 10), $60 VIP, $25 designated drivers. Ages 21 and up. www.detroitzoo.org. October 23 – 24th: Detroit Fall Beer Festival, Eastern Market, Detroit. 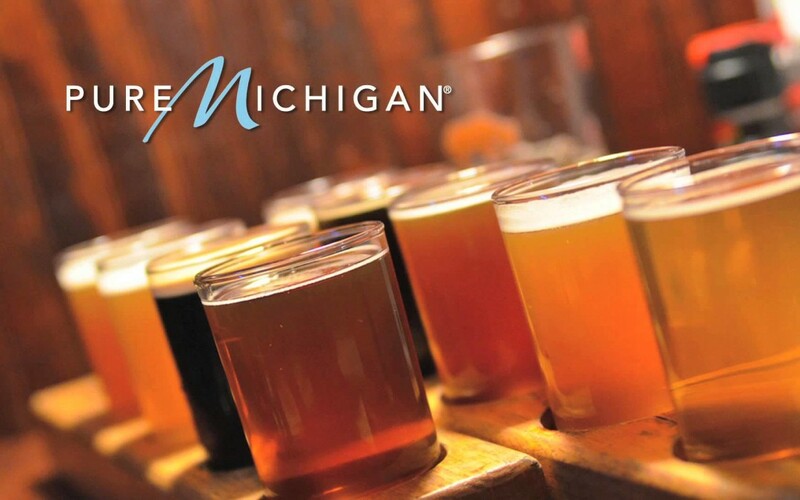 More than 600 craft beers from more than 75 Michigan breweries. Tickets, $40-$50, on sale July 30. Ages 21 and up.www.mibeer.com/detroit-fall-festival.